Tickets to the playground can be purchased towards on the right side of the main entrance. 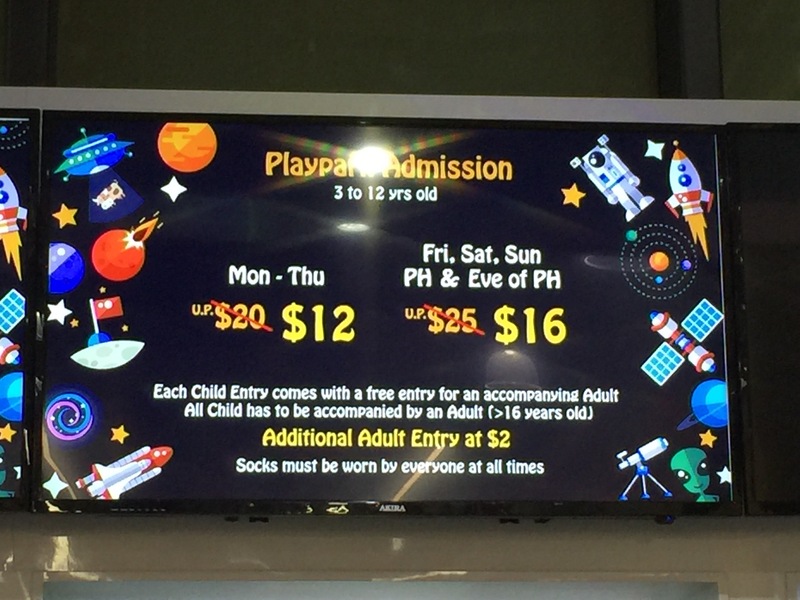 They are having a soft launch promotion now where kids enter at $12 on weekdays (Mon-Thu) and $16 on weekends (Fri-Sun, PH). Children below 3 are at 50% off for a temporary period of time too! Original prices are $20 and $25 respectively for weekdays and weekends. Before you enter, you can change into your socks at the right side of the entrance. There are many shoe compartments here for you to deposit your shoes. If you have forgotten to bring your socks, they can also be purchased at the counter. Bags can be left there as well but do not leave your valuables there. 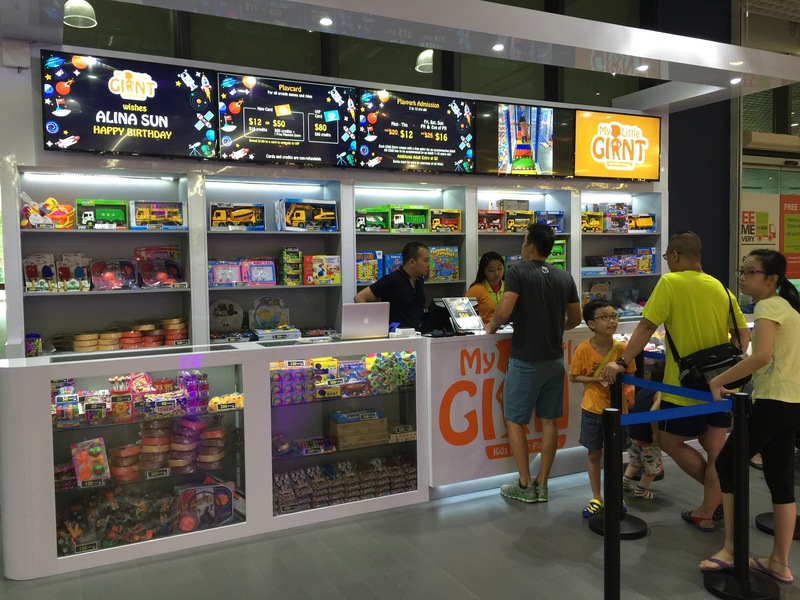 At the entrance, the staff will tag you with their wrist tags and Ensure you sanitize your hands before entry. 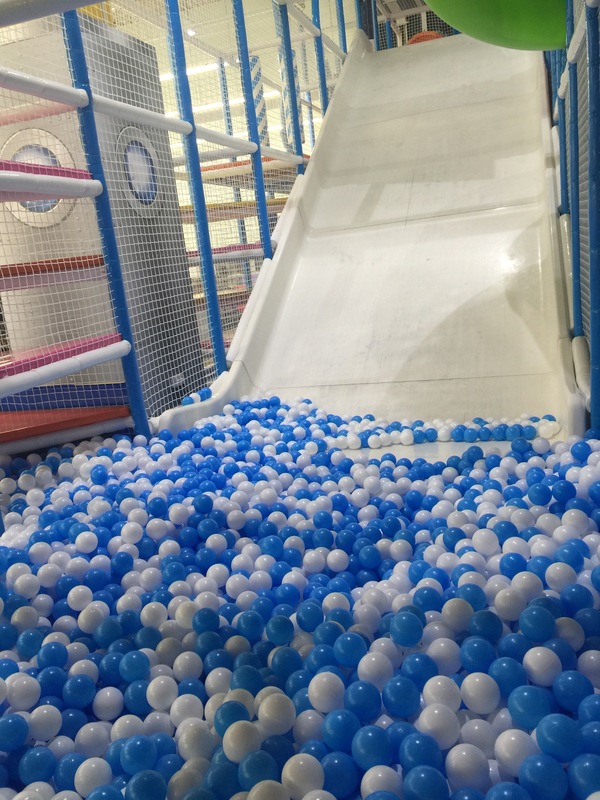 Once you step in you will be able to see their major white slide that ends in a humongous put of white and blue balls. 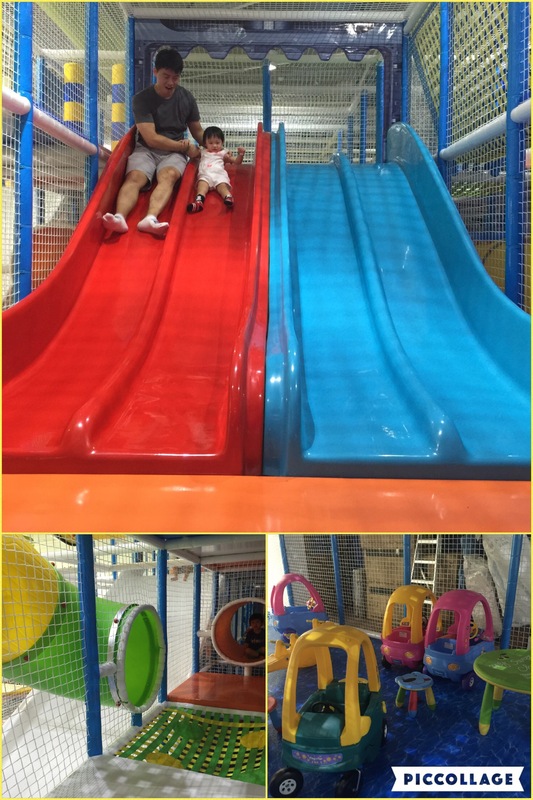 The slide is really fast and it is really meant for the strong hearted!Hubby and Lil Nugget loved it. But Korkor and me were not great fans of it. Too much for me I’d say. I screamed from the top all the way until I landed into the ball pit. It was fun though. Just scary. Here’s a view of the slide from the top. The place is a maze. Lil Bub ran in and I couldn’t find him anywhere. That’s what made it so fun for the kids. 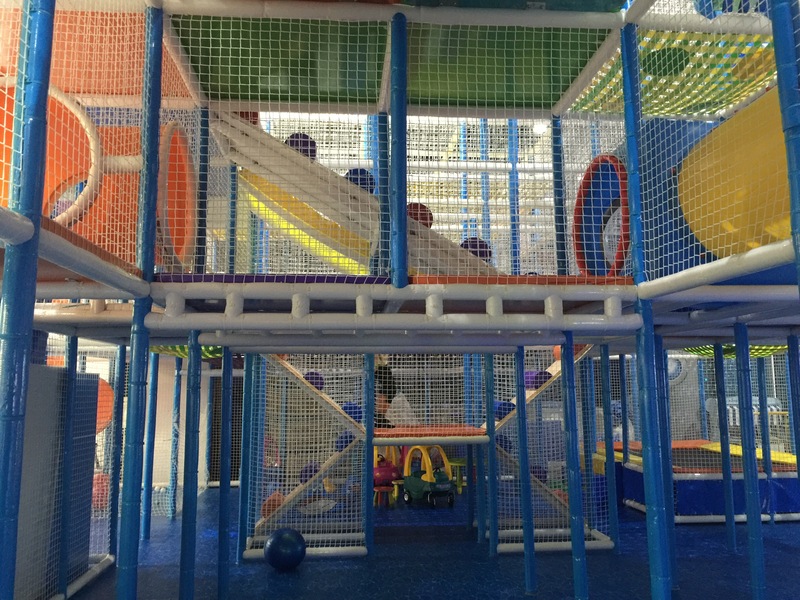 The play area has 3 storeys to it. 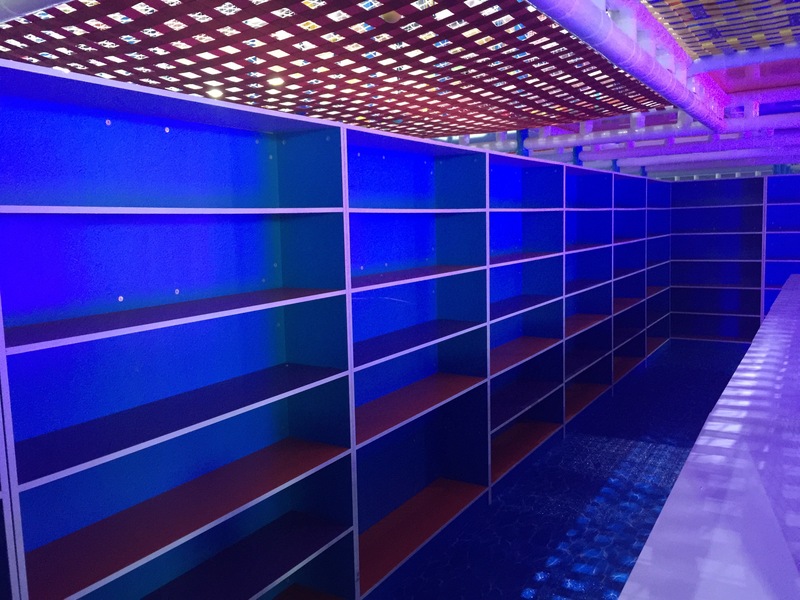 Each floor is linked to the next via easy to climb steps and smaller slides. 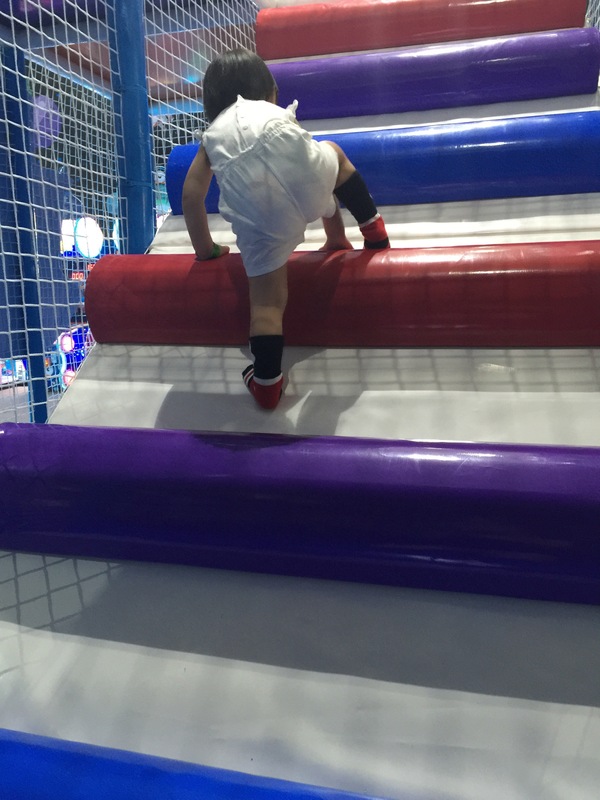 They are so easy to climb that my 19 month old needs no assistance! 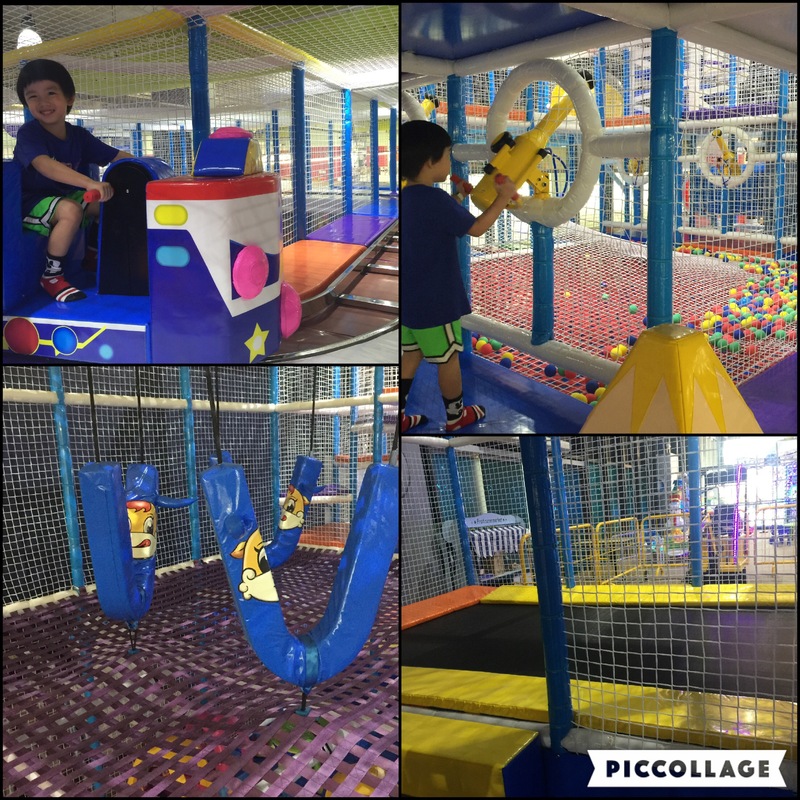 There are other areas to play as well within the 3 level obstacle course. Eg. 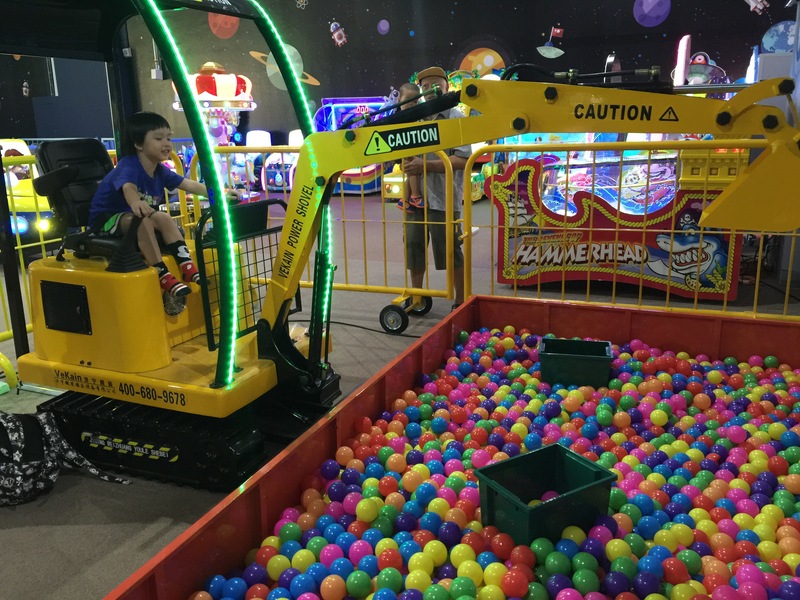 A Trampoline, shooting area, swings, and a train at the 3rd floor! Lil Bub was loving the crawling and climbing through the playground. 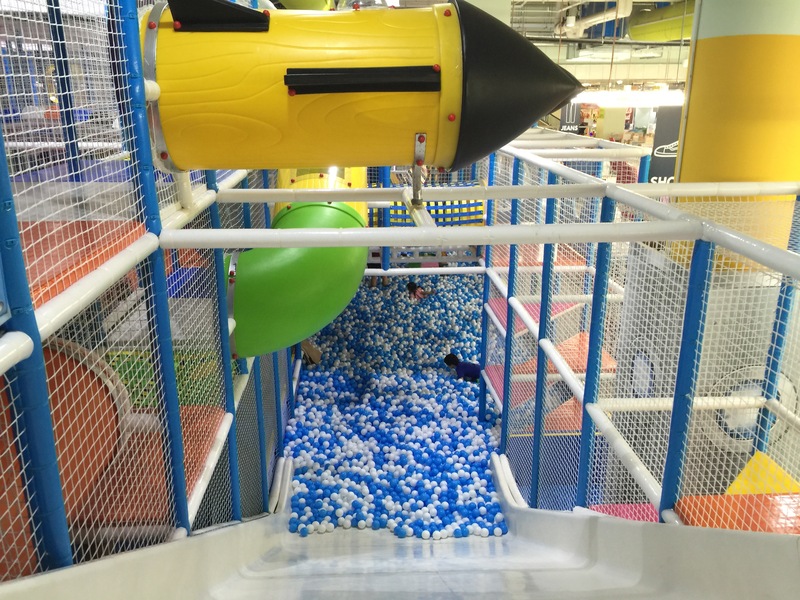 It helped that the areas were huge and adults could easily maneuver themselves through it too! 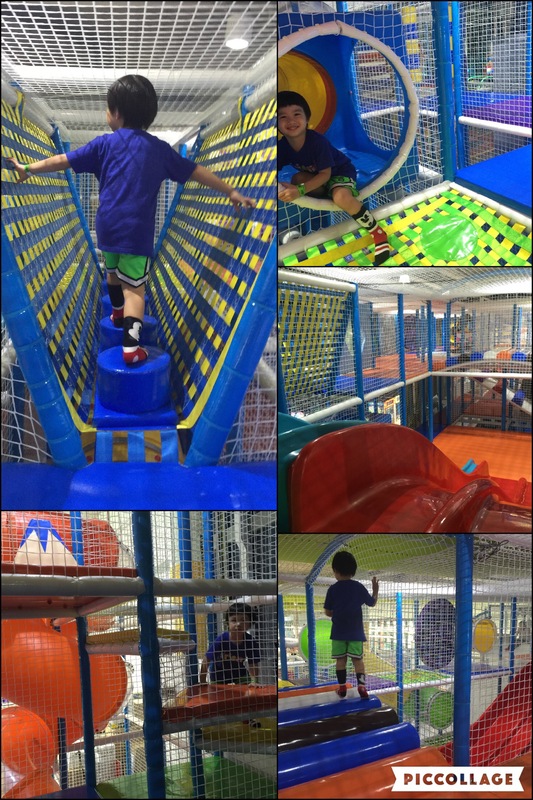 More pictures of the playground. All pictures showing a different section of it! Top pic is another slide at the 2nd floor, bottom left is an enclosed slide from 3rd to second floor, and there are also some coupe cars for the little ones to drive around on the first floor. 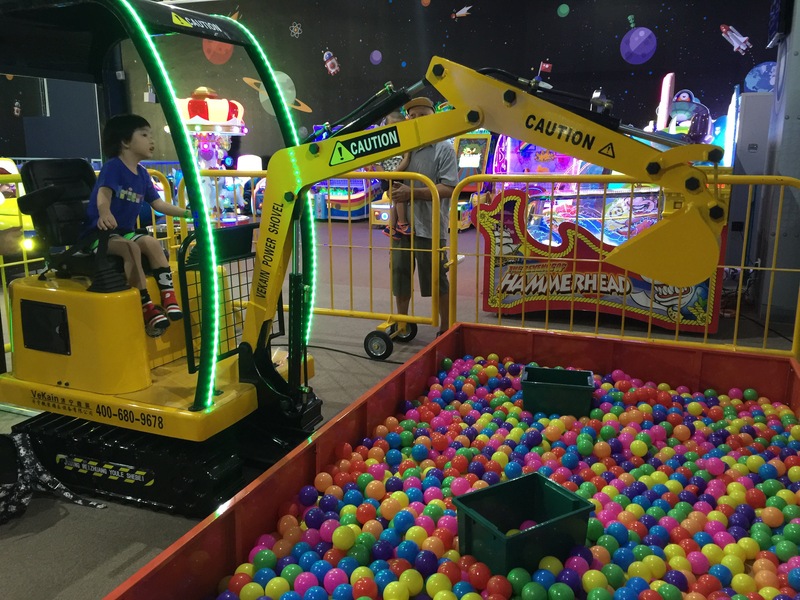 Highlight for many kids other than the main white slide would be the HUGE ball pit. This photo shows only half of it or a section where there is not many people. 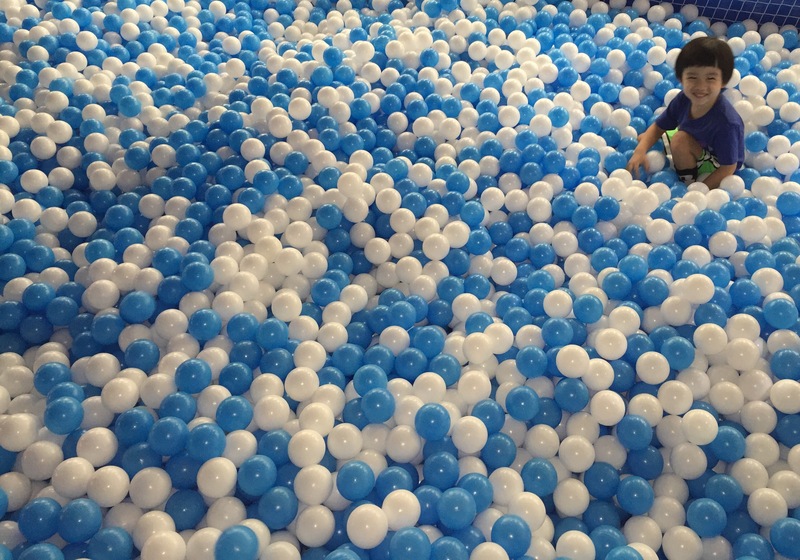 Some kids are playing at the other end of the ball pit. Yes, that’s how big it is! More pictures of the ball pit just because I love the colours of the balls! 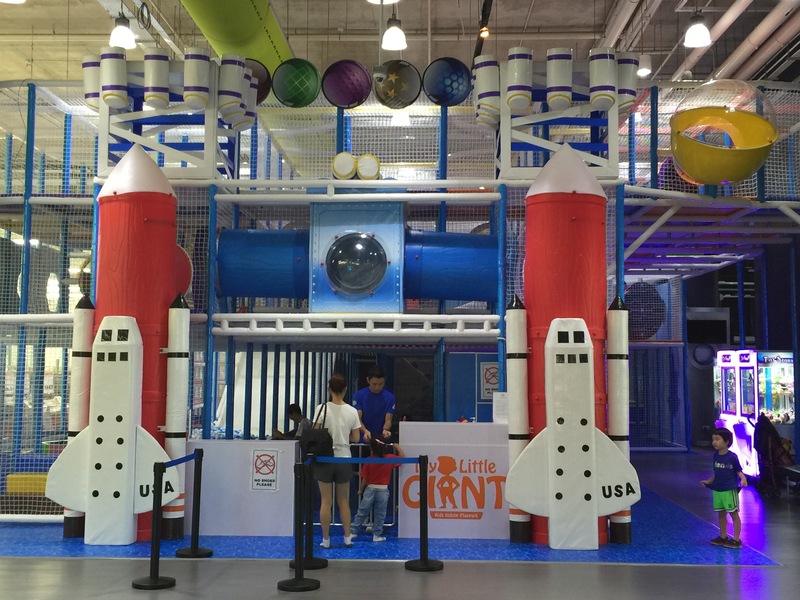 There is another section of My Little Giant where it is like an arcade for kids. These are charged differently and you will need to purchase a card with credit inside to use it at the rides and arcade machines. 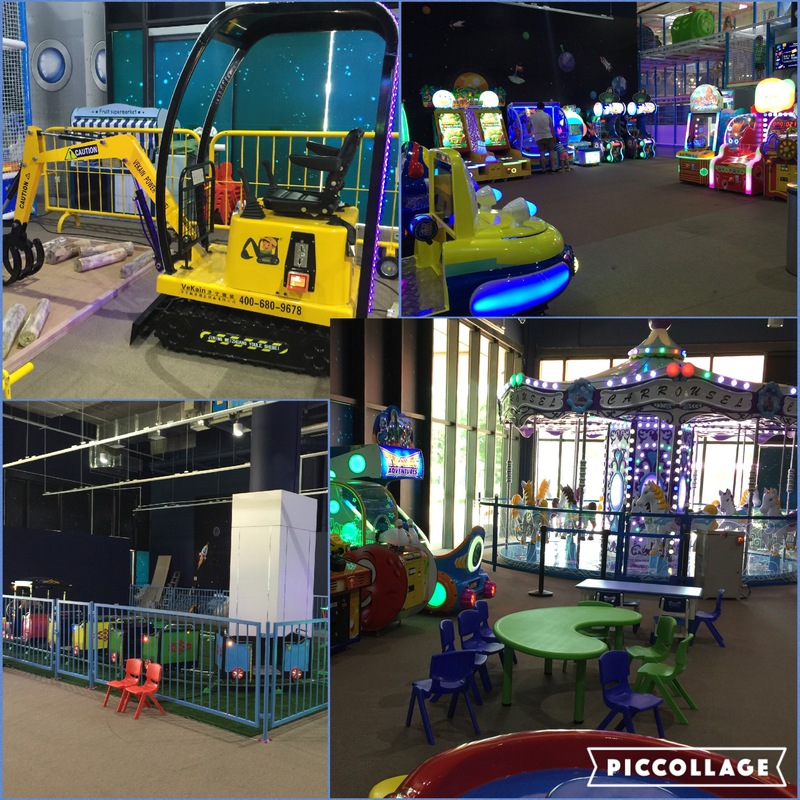 There are kiddy rides, game machines, train ride and a Carousel! Lil Bub loved the excavator the most. What’s surprising right? It was not easy to scoop the balls up into the boxes though and he needed Daddy’s help for that. Thanks to My Little Giant, there will be 5 entry passes up for a giveaway! You can go to our Facebook page for details on how to enter. Closing date for entry is 09 Oct 2016. Winners will be announced the next day and passes will be valid until 31 December. All the best!